September 3, 2013 theslowlaneme2 Comments on "Always look on the bright side of life…"
"Always look on the bright side of life…"
You could describe today as a Vertically Challenged Day. I’m not prepared to lay here and analyse why it’s suddenly become a Bed Day though. What’s the point of that when there is no clear trigger? It’s just the way M.E. goes. It’s almost amusing though, that it still comes as a surprise when things change in a matter of seconds from Okay to Definitely Not Okay. Bless my optimism/naivety. There are tears today because it’s scary but I applaud my ability to somehow remain calm in the midst of such sudden crashes. I want so badly to go to sleep, and not because I am tired or because of the fatigue and exhaustion, but because it would be easier to be unconscious and therefore unaware of the awfulness. Alas, I have worked solidly for three years to retrain my brain into getting back into some kind of routine; retraining it to know that day time is awake time and night time is for sleep. It’s like being a newborn baby! So while it may seem like the lesser of two evils to allow myself to sleep right now, I am not prepared to undo all of that hard work and have to start over again. In the long run, staying awake (in spite of the desire to hide away from the poorliness) is actually the better option. So that’s the bad side of my day. As always though, there has been good and it is the good that I choose to cling to. The sun was shining when I woke up. A card from a university friend arrived in the post today. It means so much that someone has taken the time out of their busy schedule to tell me that they’re thinking of me. Getting dressed even if I did end up back in bed. A text message from a university friend. A facebook message from a university friend. A cool breeze coming through my bedroom window. I have an amazing sock collection. Random but true. I can still use the stairs to get to the bathroom. Making my own cup of coffee. Despite having to eat my dinner in bed, I didn’t have to be spoon fed. Hoorah! Practically-Older bro stopped half way through his own lunch to make mine for me. Prior to returning to bed I caught up on some TV downstairs. My nails look fabulous! I painted them last week and the nail varnish rarely gets chipped because I don’t really do much. Every cloud! I have a vast collection of DVDs and I’ve been well enough to watch a couple of them today. I hope you too have had something, however small, to smile about today. 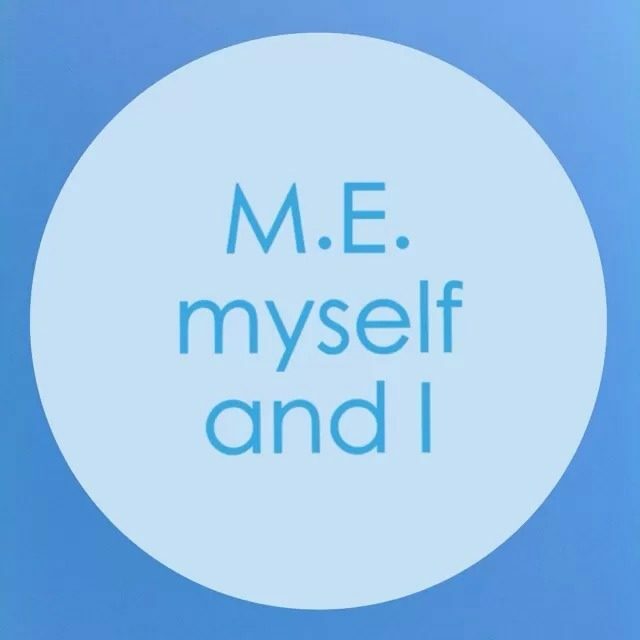 A fellow M.E sufferer pointed me in the direction of your blog and it's amazing! There's a few M.E blogs that have been a bit boring, if i dare say but yours is such a good read!